A Lions fan who recently posted a Snapchat video of two black fans who sat for the national anthem during the Lions’ home opener with the caption “ignorant niggers” has relinquished his season tickets, per the Detroit News. 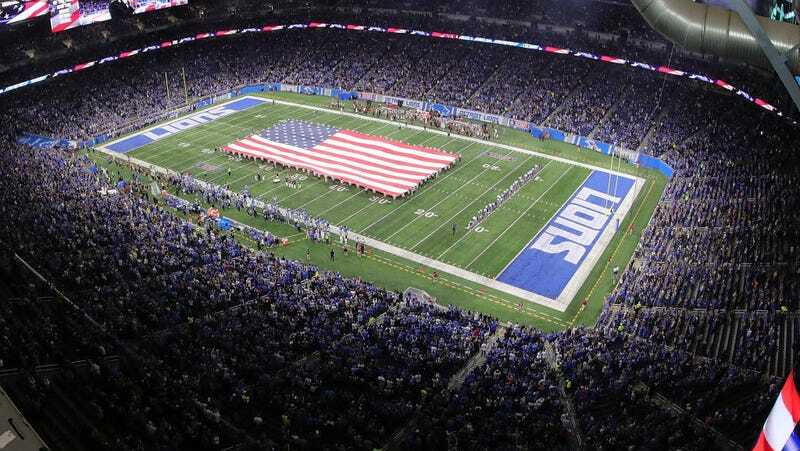 The Lions began an investigation into the incident after an image from the video went viral, and after identifying the fan, banned him from games at Ford Field. Realistically, stadium bans are unenforceable, but ostensibly this means he will not be able to purchase tickets directly from the Lions under his real name. We do have a fan behavior standard, a code of standards, and I think, without question, our organization followed up, found out who the individual was and he no longer has season tickets in our stadium. I think it was handled appropriately, and those things happen sometimes. Stacey Graham, the woman in the foreground of the photo, told local news station WXYZ that she began sitting for the anthem last year, and she took particular issue with the third verse of the anthem, which makes mention of American troops killing black slaves hired to fight for the British. The anthem is typically abbreviated to the first verse for sporting events.